This Blog is written about the Game APOLLO KIDS : PRISON DROPS for iPhone and iPod touch. 50% OFF Limited time until April 30. 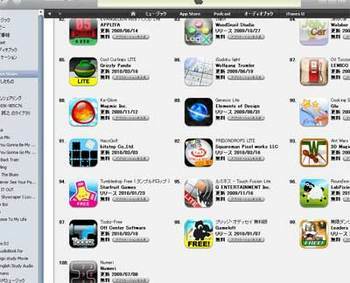 This app marked top 92th on free app of puzzle game category in iTunes Store! I released PRISONDROPS new version. I add two kind of games and some functions. New games are PUZZLE MODE and CHALLENGE MODE. PUZZLE MODE has 99 puzzles and this rule is Clear the screen within a certain number of moves. CHALLENGE MODE is for the more advanced player. In this mode you need to use your brain to get some BIG BREAK ACTION. There is no time limit on time. Only on you. and I added a new controller that method of control is quicker and more sensitive. and I repaired some problem. Please up grade your application! or If you don't have PRISONDROPS, Please check iTunes Store. data on my hand, but I would like to fix it somehow in the next version. Comments and criticizes on the application would be welcomed! Today, my game named "Prison Drop" went on sale at last! and to make a comment about it. I'll write about APOLLO KIDS:PRISON DROPS in this blog. e.g. a notification of version up, or an error reports. but this game isn't still sold now.